Scott Sarbaugh founded Sarbaugh Realty Group in 1989, and has more than 26 years of experience in commercial and residential property brokerage, management and development in Colorado’s front range. Prior to starting Sarbaugh Realty Group, Scott co-founded ReMax Realty Consultants, and worked as a commercial sales and leasing manager for Wise Mcintire realtors. Scott has a history as a “lobbyist for new Urbanism,” developing parcels of land so they contribute to the success of the towns and cities they are a part of. In the 2000’s, he was involved in the development of Fischer Farms, a 7.5-acre infill project on county land surrounded by Louisville. Scott’s idea for dedicating almost half of the land to open space, and building nine estate homes on the other half, brought value to both Boulder County and the town of Louisville. In 2003, Scott developed Via Broadway, the first mixed use project in Boulder. As a pioneer of this building style in Boulder, Scott helped define the covenants, codes and statutes that take into account the differences in occupancy, accessibility, safety, financing and other factors when combining residential and commercial space. PrairieStar is another example of bringing 360-degree value to development. The community honors Berthoud’s wish to retain their agricultural identity and view corridors, while bringing economic viability and shared amenities to the town. Scott’s broad background in real estate and development gives him insight into the statutory rights and development laws, but also the important details that bring employment, retail and residential value to a community. Other projects include Canyon Cove, a subdivision near downtown Boulder; and Violet Hollow, a Habitat for Humanity project in north Boulder, where he met PrairieStar partner, Richard McCabe. 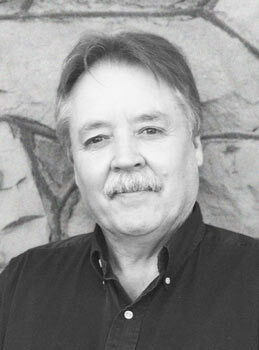 Richard McCabe has more than 50 years experience as an architect, developer and builder. 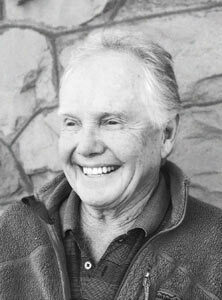 He formed his first building company in 1965, during a summer break from architecture school at the University of Colorado at Boulder. He obtained his contractor license and continued to design and build his own projects through graduation. To date, his construction and development career has produced 1,073 various housing units including rental apartments, townhouses and single-family lots, as well as several public parks. For the majority of his career, Richard has focused on affordable housing and low-income projects, applying out-of-the-box thinking to make these endeavors viable, profitable and beneficial to all stakeholders. In 1988, he built the low-income community of AppleGreen, which was subsidized by the sale of credits that the city granted for building affordable housing. these credits became a sought-after commodity for Boulder builders, and proved that low income building does not have to mean not-for-profit. In the mid-90s, Richard began taking an in-depth interest in new Urbanism, a design movement promoting walkable neighborhoods that contain a range of housing and job types. During this time period, he met renowned master planner Peter Calthorpe, and modeled many features of his Dakota Ridge project after Calthorpe’s ideals. in 2005, Richard and partner Scott Sarbaugh purchased PrairieStar with the intention of applying new Urbanism characteristics to the Berthoud community, with Peter Calthorpe as master planner.